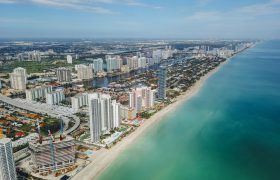 ​As though a trip to Miami isn’t exciting enough, whilst you’re there you’ll get to experience so many exciting activities. On your second day in Miami, you’ll be given the option of playing golf at the Normandy Shore golf course or flying over the Everglades on us! Win an amazing Miami Muscle Car driving experience! Fancy a mini staycation with an amazing Miami Muscle Car driving experience? All you have to do is your day job! Keep installing our Max range of boilers and get yourself in our top 10 for Max installations and you could be spending a weekend away, in one of the UK’s many beautiful hotels. 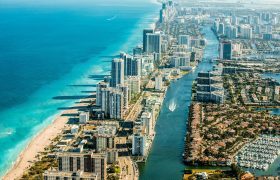 Miami is home to loads of fun things to do and in our Ideal guide to Miami, we’ll have a look through our top 10! Fancy staying at the Ideal Hotel? 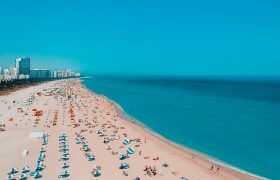 If you haven’t heard already, we will be heading to Miami in 2019 and staying at the famous Hotel Fontainebleau with our lucky Ideal Premier Club members. We are excited to announce we will be heading to Miami in 2019 with our lucky Ideal Premier Club members!